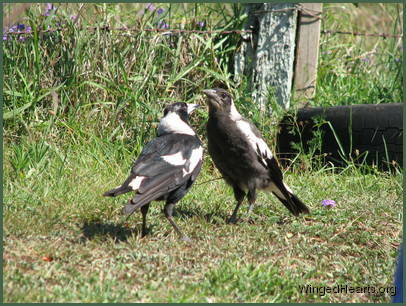 These shots were taken on the first day that Vicky brought Wendy to our backyard. 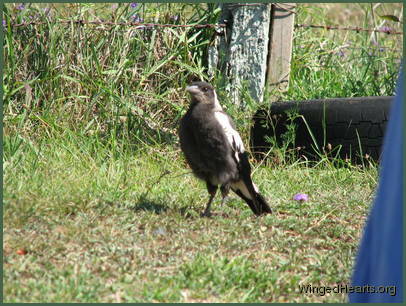 Wendy had been out of the nest for only a few days. 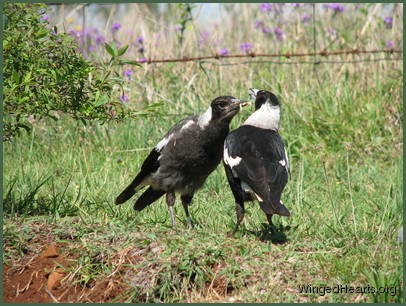 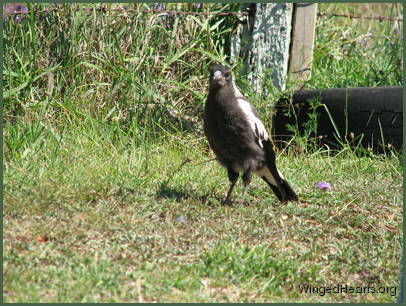 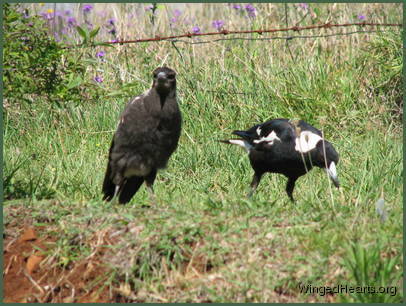 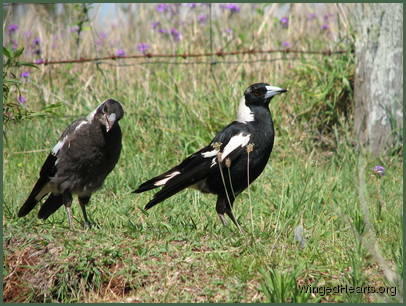 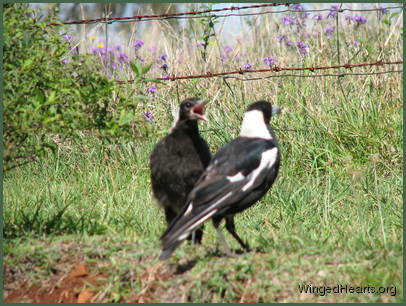 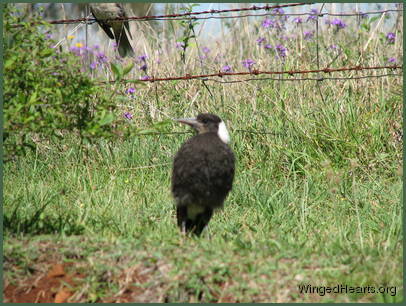 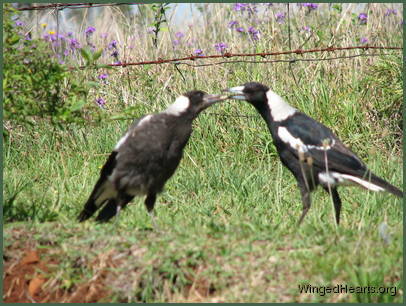 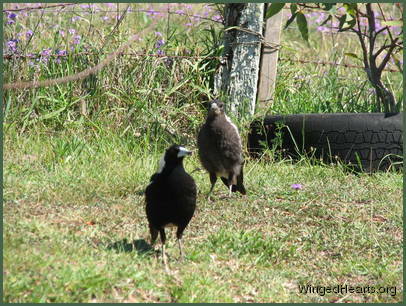 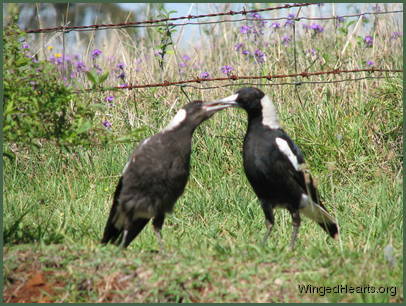 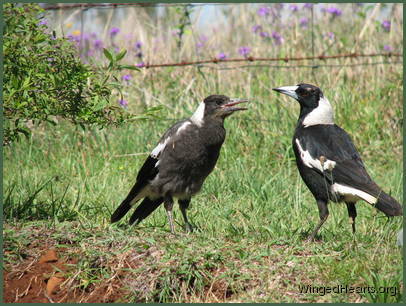 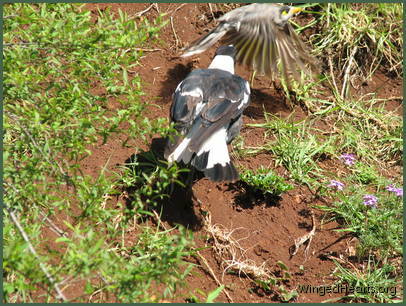 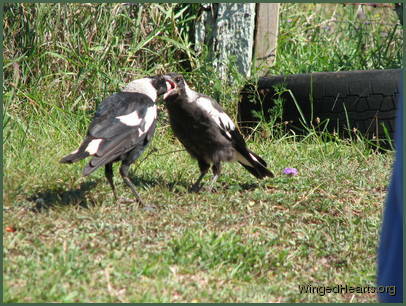 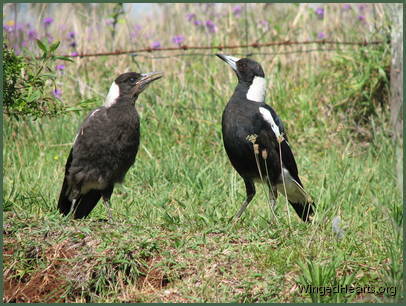 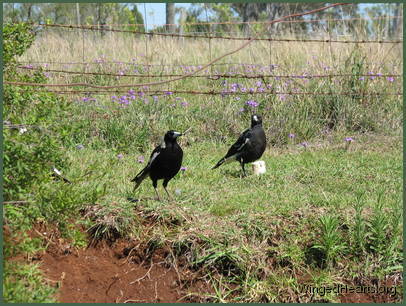 Magpie chicks have dark plumage while they are still in the nest, their plumage lightens when they come out. 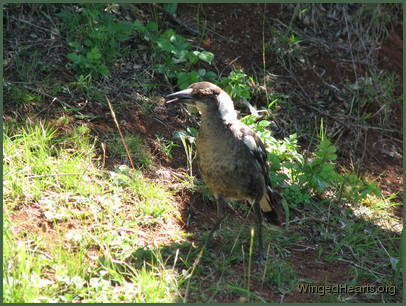 From the colour of Wendy's chest, it seems that she had not yet lightened when she came out of the nest. 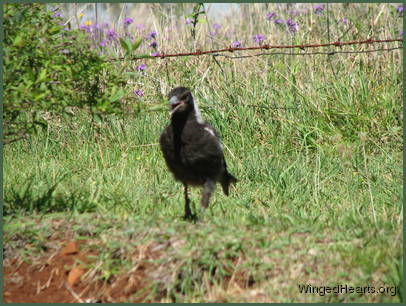 Vicky trusts us and is quite confident in bringing her young chick to mix with the others. 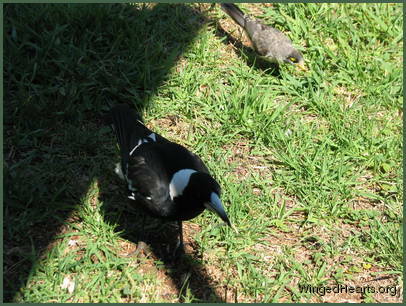 Renuthri (noisy-miner) and Sophie (two years of age) were in a trance on the bank when Vicky scatters them on her way down to get some food for Wendy. 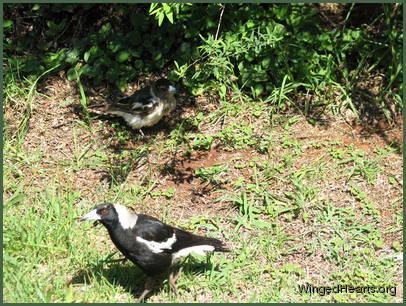 Dimpy who is the same age as Sparky hides under the may bush to catch up on his sleep, while Sparky (who is now one year old) watches her mother and younger sister sleepily from a shady spot down below.